It's time to make your brand count. Brands that have purpose, character and integrity are the ones consumers love, champion and remain loyal to. They are also the ones that perform best for their owners . . . they exceed their revenue targets. Purple has been in the branding business for more than twenty years. We know how to make brands count. How to make your brand the one that customers think of first, get enthusiastic about online and choose in preference to those of your rivals. Allowing your brand to out perform your competitors in revenue terms. Is it an easy task? No, it’s a journey. We'd like your brand to join the ranks of the 'brands that count'. Sign up with your email address to receive news and brand-related articles. We respect your privacy and your details will not be used for any other purpose. Complete the form below and Mark will get in touch to arrange it. With over 20 years' experience, Purple offers a comprehensive and effective brand-building system. Developed over years of experience, every part of the system is 'tried and tested'. Success depends upon you following our proven brand-building principles. it’s an exciting journey. Our comprehensive Brand-Building System for service sector clients takes you from initial brand concept and positioning through to the specifics of implementation. Key modules can be applied on their own through a combination of workshops and consultancy. We also work on an ad-hoc basis for clients with specific branding and marketing challenges and opportunities. 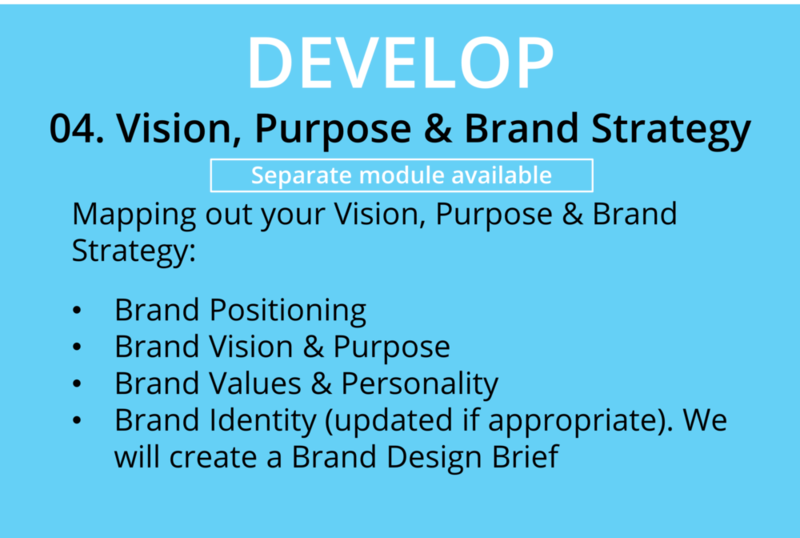 Well thought out strategy, from an inspiring vision, mission and well-defined sense of purpose for your corporate or masterbrand. These are the foundations of brand-building. No amount of downstream marketing pyrotechnics will help if you set off in the wrong direction. Time invested in getting your positioning and purpose right is time well spent. This includes defining your most attractive and financially rewarding market opportunities. We create a complete Brand Blueprint from Positioning Statement to Brand Values, Personality and Brand Architecture. Think of it as your Brand Owner’s Manual. Anyone who has any form of responsibility for the brand should be able to pick it up and apply it to deliver the spirit of your brand consistently. How you market and communicate your brand is crucial in today’s highly competitive markets. That's why we focus on your highest revenue market opportunities and develop a Marketing and Communications Strategy to get results and to ensure the way your brand is expressed is true to your original intent. It defines your visual style and tone of voice for each of your key customers groups or segments. We work with you map out your customer journey, define your brand experience and create your Signature Service Style successfully uniting all the expressions of your brand. Getting your brand experience right is important to maximise revenue opportunities too. Align your whole organisation behind what your brand stands for. The brand (and brand thinking) becomes embedded in the organisation and you are able to deliver on your Brand Promise. Our unique, tried and tested system of workshops and tools help engage all functional areas in contributing towards the successful delivery of your brand promise. Unless all your people know what it stands for and how to portray it, you are realising a fraction of its true potential. Engaged staff are also more effective at maximising revenue by up selling and cross selling. Brand Engagement involves writing and cascading your brand story in an engaging way throughout your organisation – paying particular attention to those who have direct roles in creating the Brand Experience.